I’m fascinated by people and their passions and have never written a profile I didn’t enjoy. In my nearly 13 years as a University of Iowa writer and editor I covered topics ranging from historic cookbooks to engineering prototyping to children’s hearing loss. In the past decade I’ve freelanced for publications including American Patchwork and Quilting, Etsy’s blog, O, the Oprah Magazine, Quilt Sampler, and Modern Patchwork. I write weekly for Moda’s Cutting Table blog and am a core contributor at UPPERCASE. I’ve been a contributing editor at Stitch, a columnist for the French magazine Quilt Country, and a regular contributor at American Quilt Retailer. 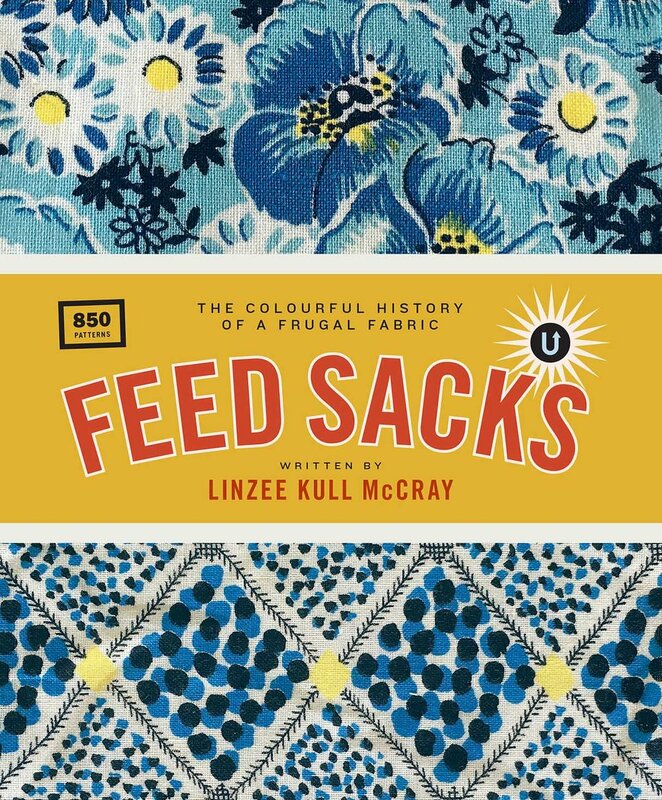 A richly illustrated history focusing on the ways resourceful women used and reused cotton sacks, and how that reuse shaped manufacturers marketing and production. Stories drawn from personal interviews, period newspapers, research collections, and feed sack collectors bring to life the times in which cloth bags were deemed nearly as valuable as the seed, animal feed, sugar, flour, and fertilizer they contained. Through biographical sketches and color photographs, 20 art quilters (selected from a field of nearly 100) share their embrace of, or reaction to, the Midwest’s climate, land, people, and culture and the way it affects their work. — Wesley I. Shank, emeritus professor of architecture, Annals of Iowa, Vol. 67, No. 4, Fall 2008.